‘Tis the season for fun community events all across the greater Richmond area! 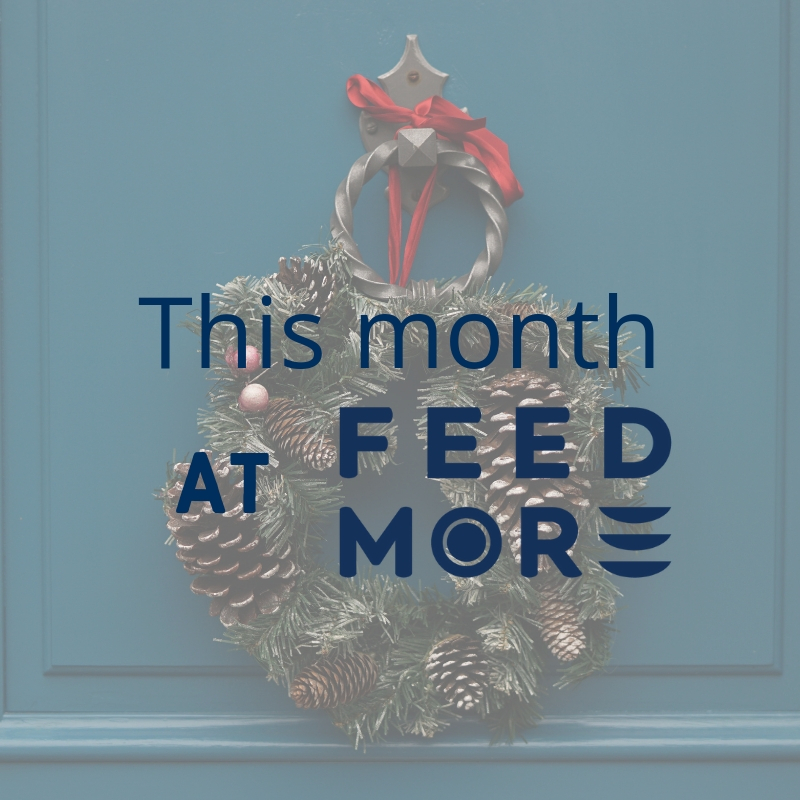 December is a month chock full of cheer, and great opportunities for you and your family to have fun and give back to Feed More. Feed More and Chop Chop RVA, a local meal delivery service, are continuing their partnership through the end of 2018. When placing a delivery order for $15 or more, simply use enter the coupon code feedmore and Chop Chop will donate $1 to help us fight hunger in our communities! EAT Restaurant Partners, which include Boulevard Burger & Brew, Foo Dog, Fat Dragon, Wong Gonzalez and more, will be holding food drives at all their locations through the end of 2018. Diners will also have the opportunity to make a donation of $1 to Feed More or round up their checks. Feed More is the hometown charity again this year for Colonial Subaru. Through the end of 2018, they will donate $250 for every Subaru sold to help Feed More! Calling all smoothie lovers! Through December 9, get $1 off any 24 oz. smoothie when you donate two non-perishable food items to any participating RVA and surrounding area Tropical Smoothie Cafe. Strangeways Brewing is working to help ensure the holidays are merry and bright for our region’s kids with their 12 Days of Giving! From December 1 – 15, our community can drop off donations of food to help our hunger-fighting operations at Strangeways Brewing Tasting Room on Dabney Road. Are you in search of a new car? Nissan of RVA will donate $10 to Feed More for every car sold from now until December 31. With every $10 donation, we are able to help provide 40 meals through our programs and Network of Agencies to our neighbors in need! Have you bought your tickets to see the Trans-Siberian Orchestra on December 19? Ring in the holiday season with a memorable performance at the Richmond Coliseum, and proceeds from tickets sales will benefit our programs at Feed More. If you’re not able to make it out to an event this month but are still interested in helping, please consider becoming a Community Champion by hosting an online fundraiser! You can also organize a food drive and collect some of our most needed items to help our neighbors in need. Head on over to our Food Drive page to learn more and check out our toolkit that will help you spread the word! Hunger is a year round issue and with your support, we’re able to provide families in need with a hand up all year long.